When you’re carrying everything you need for a week of hard fishing on your back – or in checked airline baggage – every inch and ounce counts. 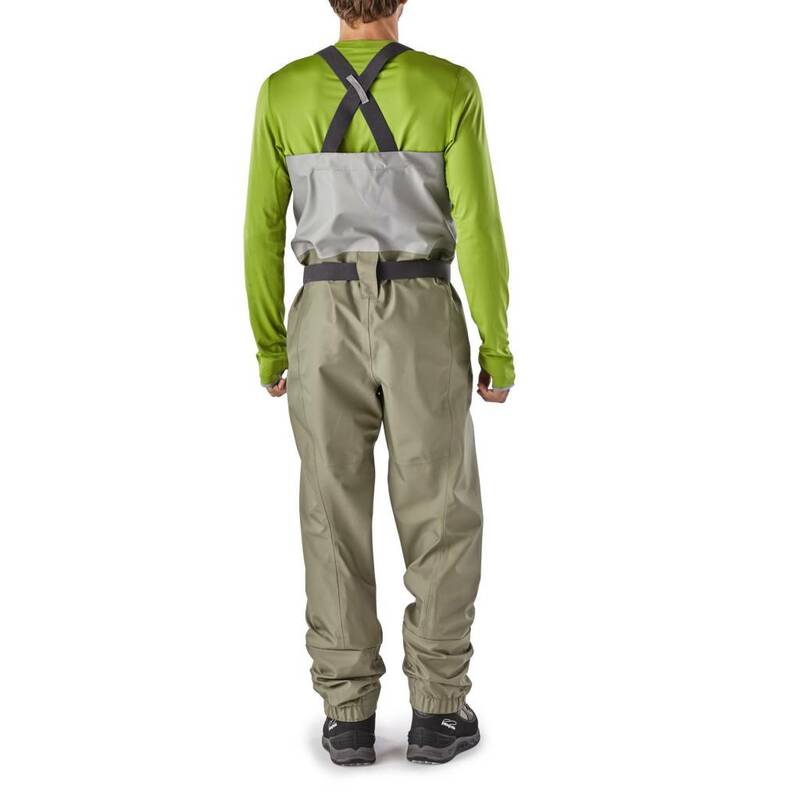 Our Rio Azul Waders are built for extreme lightweight performance and max packability. The tough H2No® Performance Standard, 4-layer, 5.4-oz polyester fabric with a waterproof/breathable barrier and NanoSphere® DWR (durable water repellent) finish rolls up tight for travel and keeps you dry when you fish. Fully adjustable suspenders and anatomically designed left and right neoprene booties ensure a comfortable fit for long days in the water. A zippered, waterproof interior pocket protects phone or car-alarm remote from the inevitable that-tailout-was-deeper-than-I-thought swimming sessions. 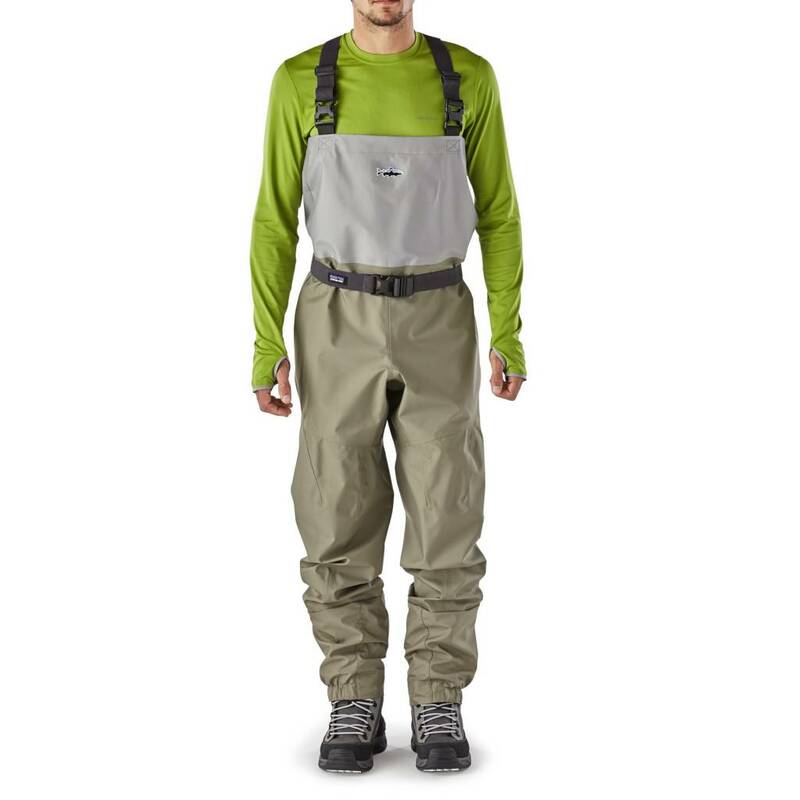 Stretch Wading Belt with DuraFlex® Stealth-V buckle protects you from the same. Front utility keeper for convenient tool attachment. Field repair kit included. Laser-cut Hypalon® utility keeper allows easy access to tools, nippers, etc.